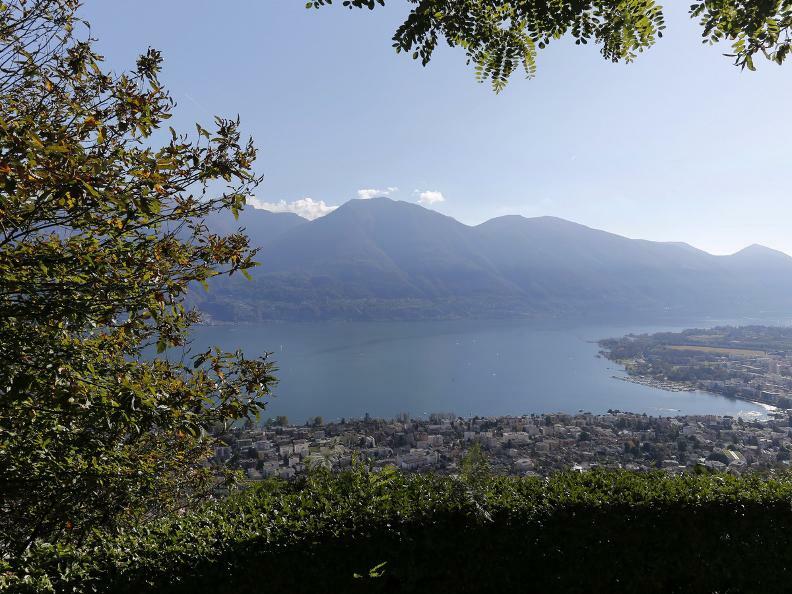 Be amazed by a panoramic and sun-kissed excursion, suitable for everyone. 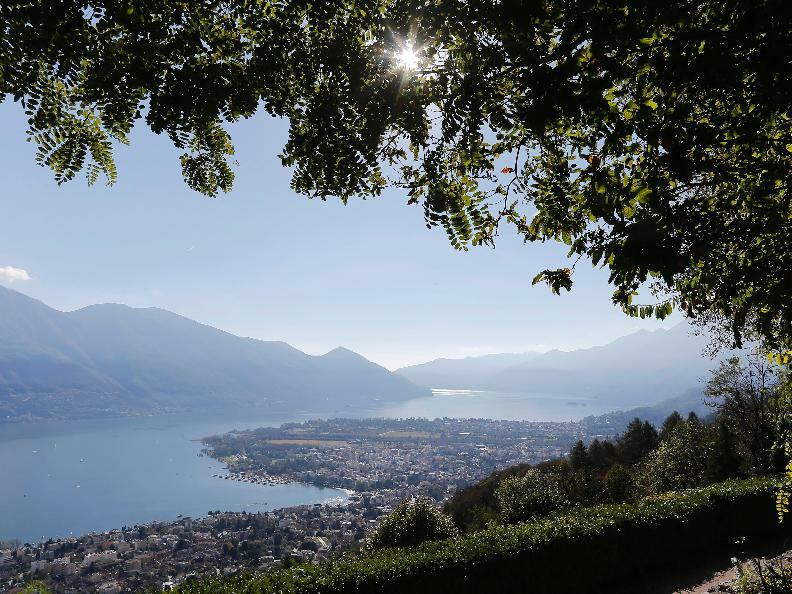 This itinerary, which takes you from Locarno Monti to Contra, spoils you with magnificent views over Lake Maggiore and picturesque sights. 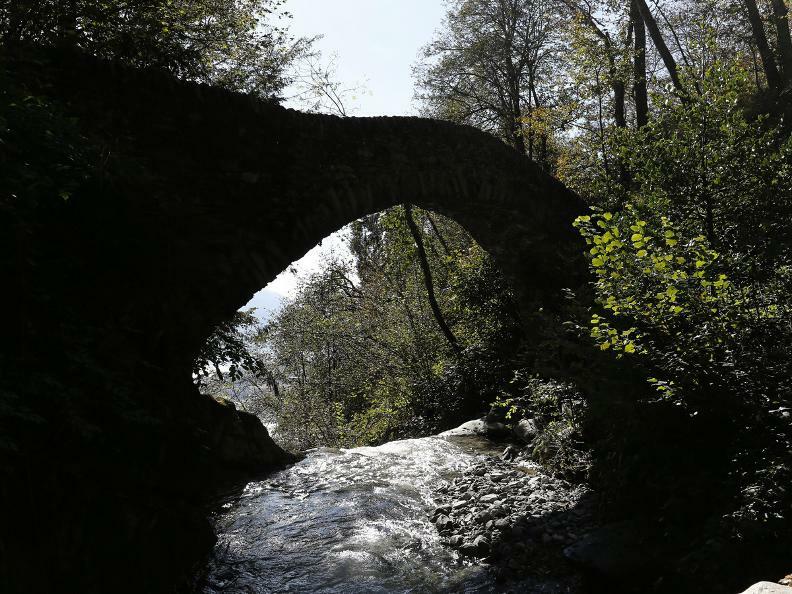 You pass through a pretty chestnut tree wood and ancient pastures, traverse the humpback bridge crossing the Navegna stream and the “Capèla rota”. 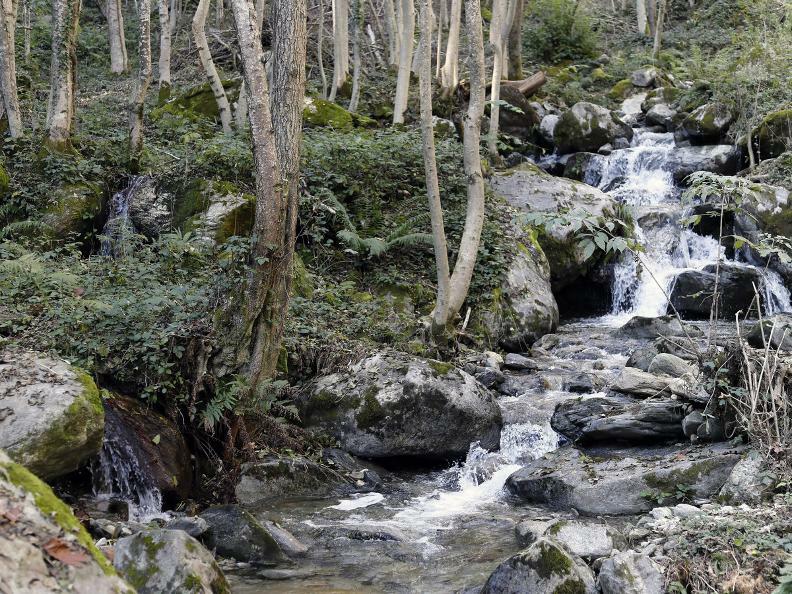 In short, an itinerary packed full of surprises! 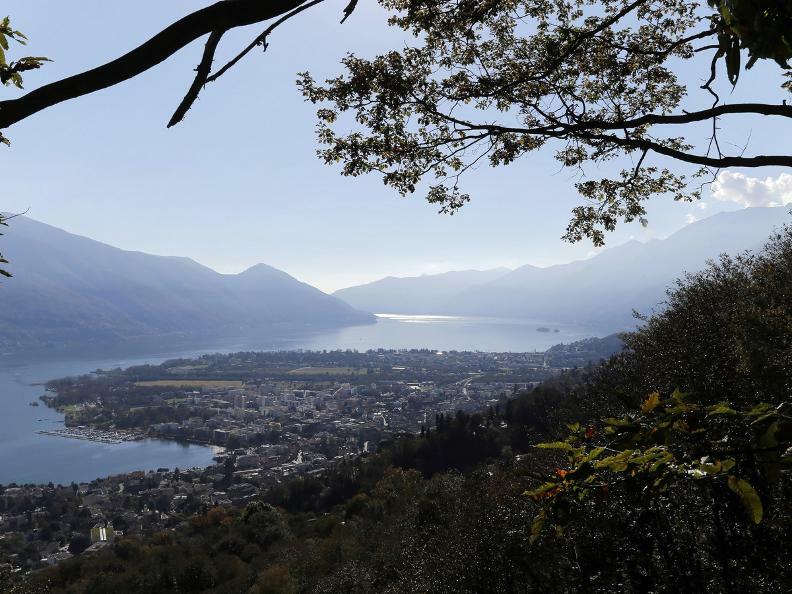 A stunning panoramic excursion, ideal for families too, accessible all year round thanks to its low altitude and south-facing aspect giving magnificent views over Lake Maggiore. 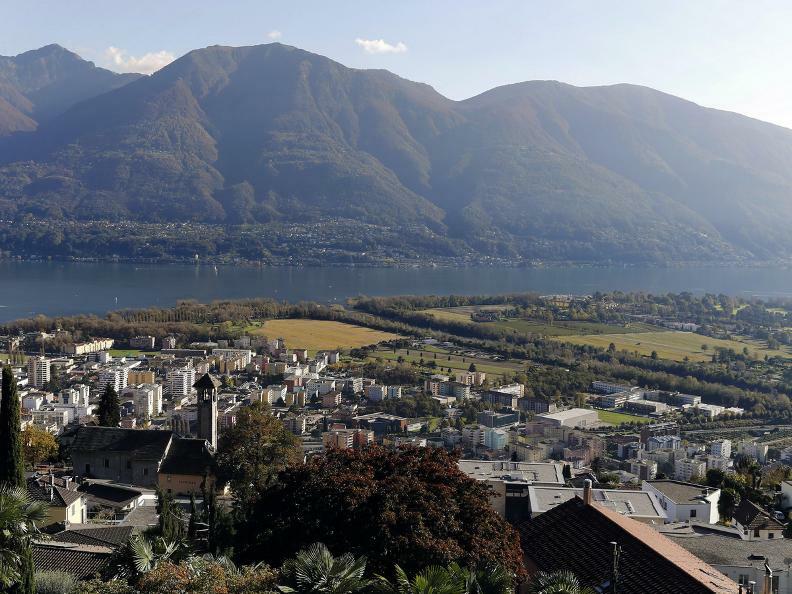 The trip starts from Monti della Trinità square, reached by bus or by funicular from Locarno, where you can enjoy an extended view over the Maggia delta, Ascona, the Brissago islands and the Italian part of the lake. 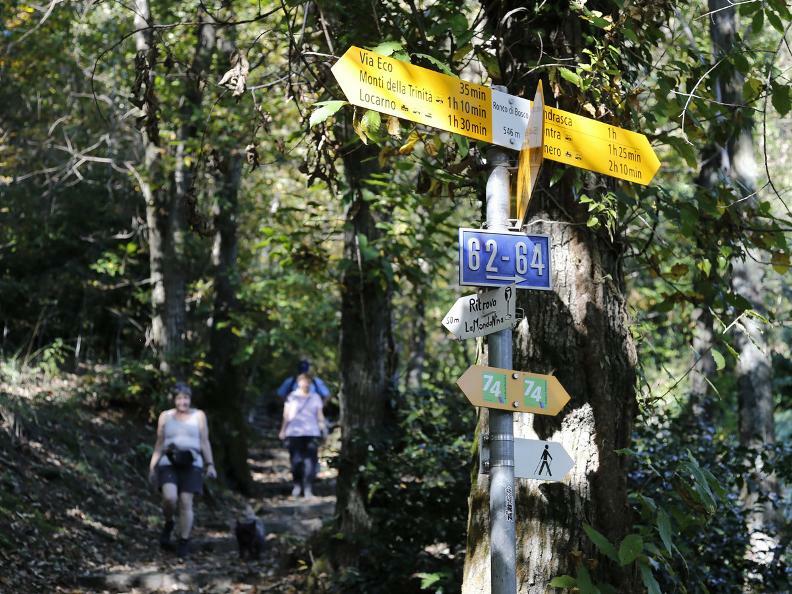 Following the Sentiero del Roncaccio path, starting alongside the church, you reach via Patocchi. 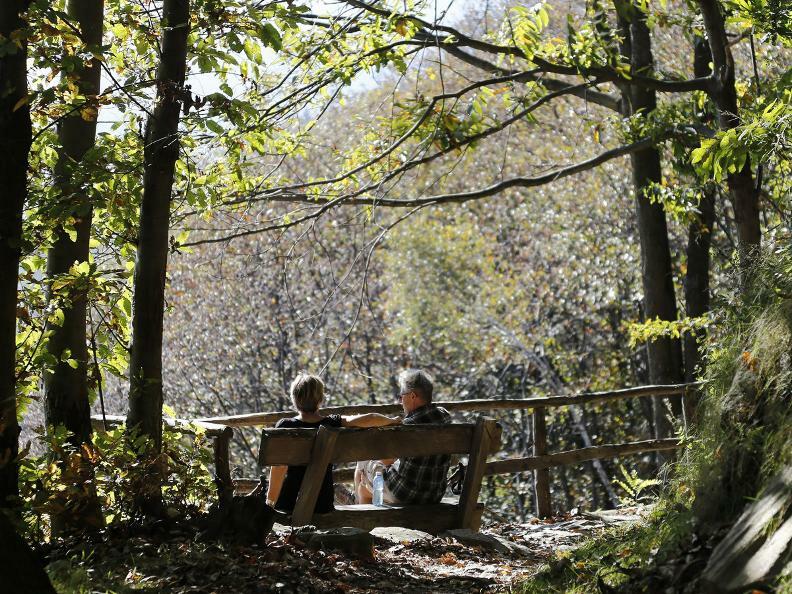 Fifty metres above, just after the Verzaschese restaurant, you take the path which next takes in a chestnut tree wood before arriving in Orselina, precisely atop the cul de sac on via Eco. After reaching the last of the houses of Orselina, yellow signs indicate the path which follows the mountain's curves and from which you can glimpse old pastures. 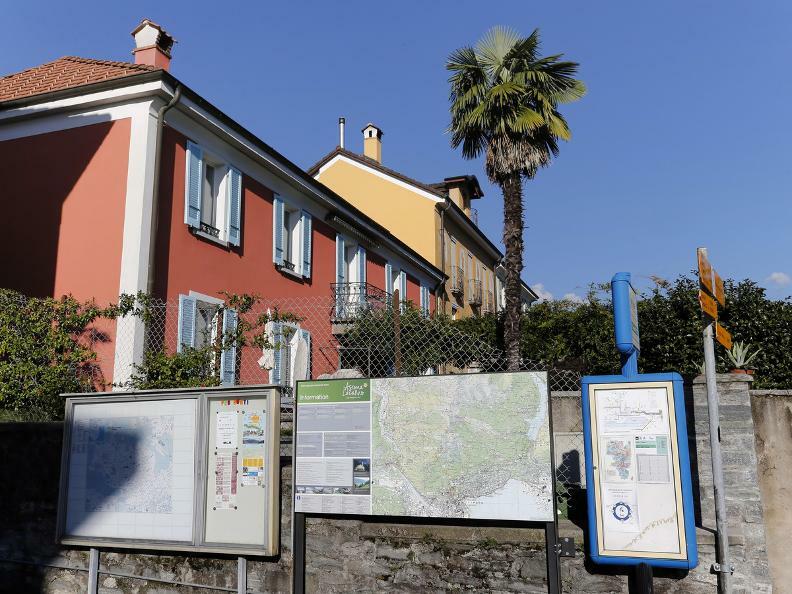 You then arrive in via Selva, in the territory of Brione. 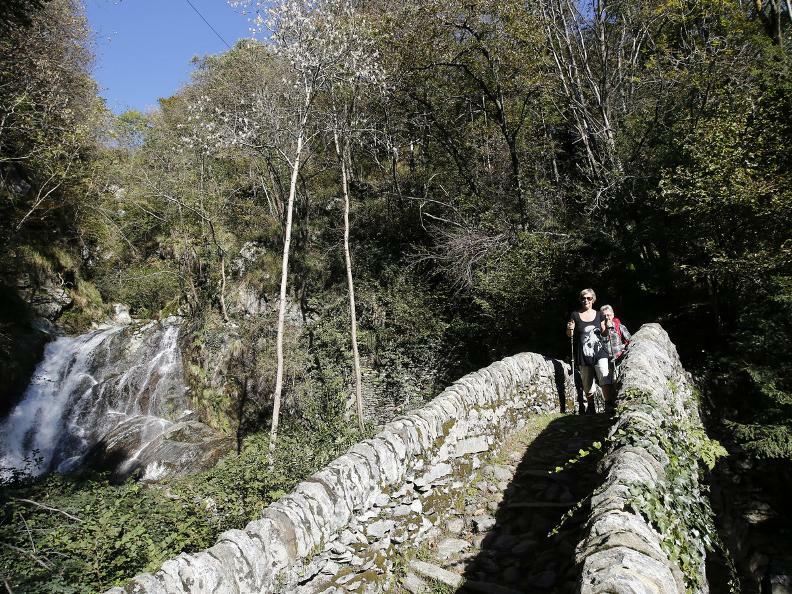 From the via Selva fork, instead of going down toward Brione, go back up along the same road and take the path toward Val Resa, passing over the pretty humpback bridge (so-called "Roman or Romanesque bridge") crossing the Navegna stream. 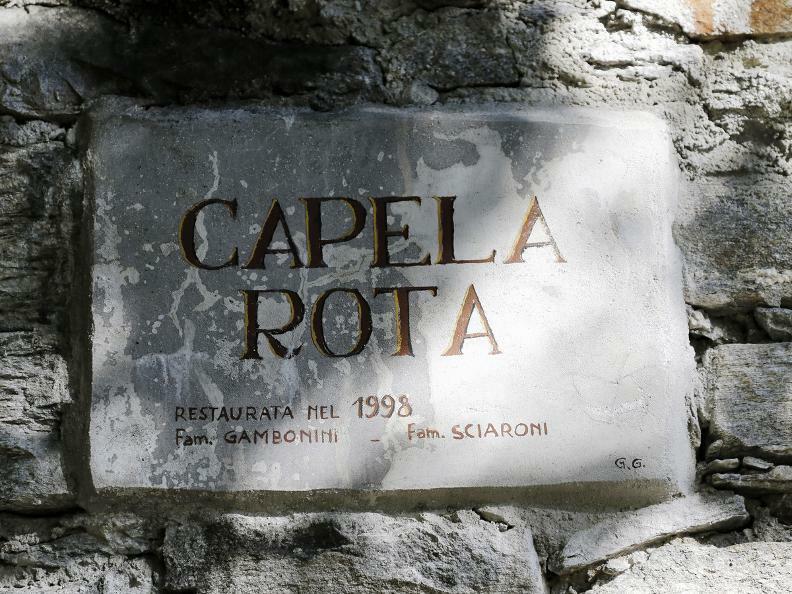 In this area you'll notice a strange, unfinished building, the "Capèla rota", built perhaps around 1500. 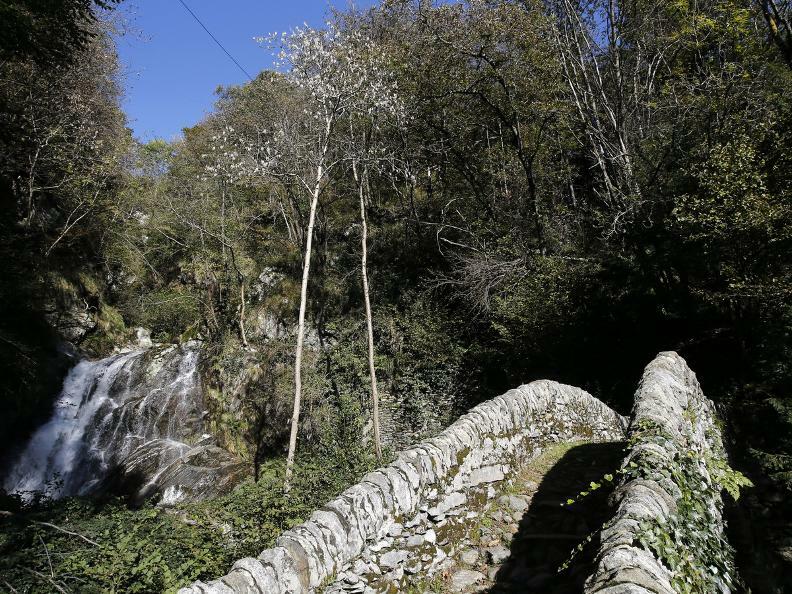 Continue on along the Val Resa road and when going down on the road which is open to vehicles you cross, finally, the path toward Contra, final destination of this beautiful excursion. 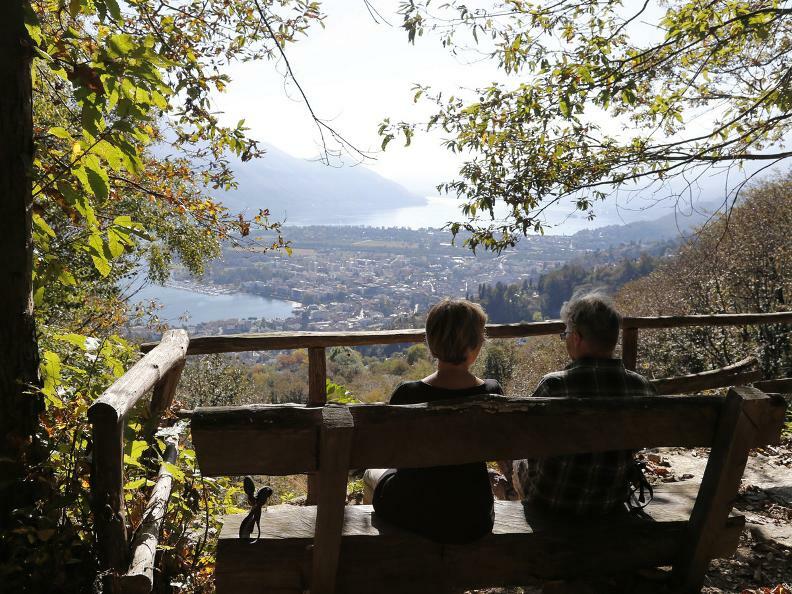 You can reach Orselina by taking the historic Locarno - Madonna del Sasso funicular, and then travel onwards on foot from the Madonna del Sasso monastery. 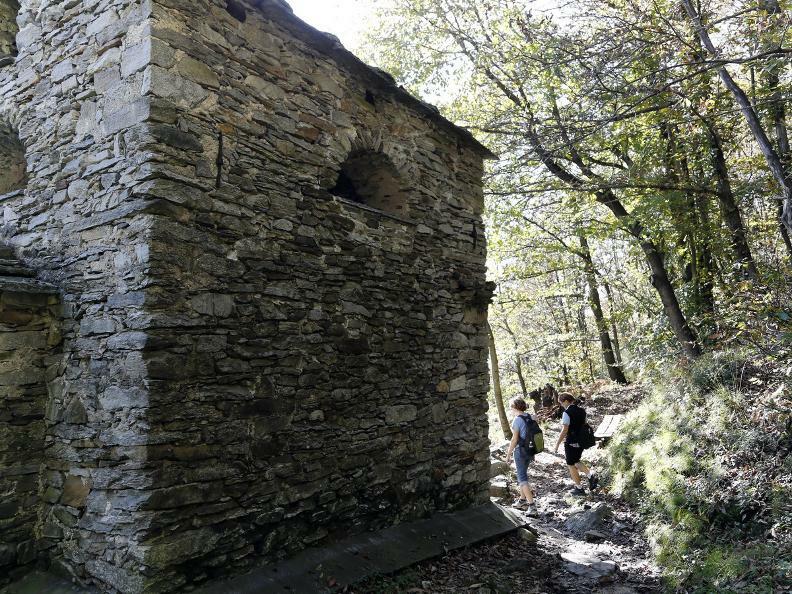 If you would like to make the excursion a bit more challenging, you can climb up to the monastery on foot through the steep Via Crucis (Way of the Cross).